We did it! We finally proved that Beer and Books make for a perfect combination. The turnout was more than double what the Library expected, meaning the number people who were able to experience Narbrew far surpassed what we had anticipated. The Merion Tribute House was packed with enthusiastic beer tasters from the area who expressed a great interest in what we had to offer. Our offerings included Flight of the Hopchords, Peach Buzz, and Malty McFly and were complimented by food from The Great American Pub, The Greeks, Narberth Cafe, and McShae’s. The entire event was such a phenomenal experience because if gave us a chance to get direct, honest feedback on the beer we’ve been passionate about making for so long. One of the highlights was having tastees call out intentional flavor notes we had planned as the reason they like one beer over another. The moment that left us most proud was overhearing patrons speaking highly of Narbrew’s samples as we walked through the rooms. Thank You does not effectively express the gratitude we have to the Narberth Library for allowing us to be a part of their event. Mary first answered our call and introduced us to the Library and Harold, our main contact was very accommodating during the planning process. I also would like to thank Corey from Rolling Barrel Event Planning who provided quality craft beers from the some of best breweries in the Philadelphia area. It was an honor to have Narbrew be served next to Philadelphia, Yards, Victory, and Weyerbacher brewing companies. The guys at Narberth Beverage really helped us out by cooling our kegs all day and donating a keg tub with ice to be able to serve our beer at the proper temperature. We met some very enthusiastic beer lovers and made some great contacts during the event so hopefully we’ll be able to sample some more Narbrew very soon. Thank You again to all who made it out and and as we mentioned at the event we sincerely welcome all feedback so please contact us with any questions, comments, or suggestions about our brewery and our beer via email or in the comments sections of our posts. Check out the gallery below for some of the photos from the event. 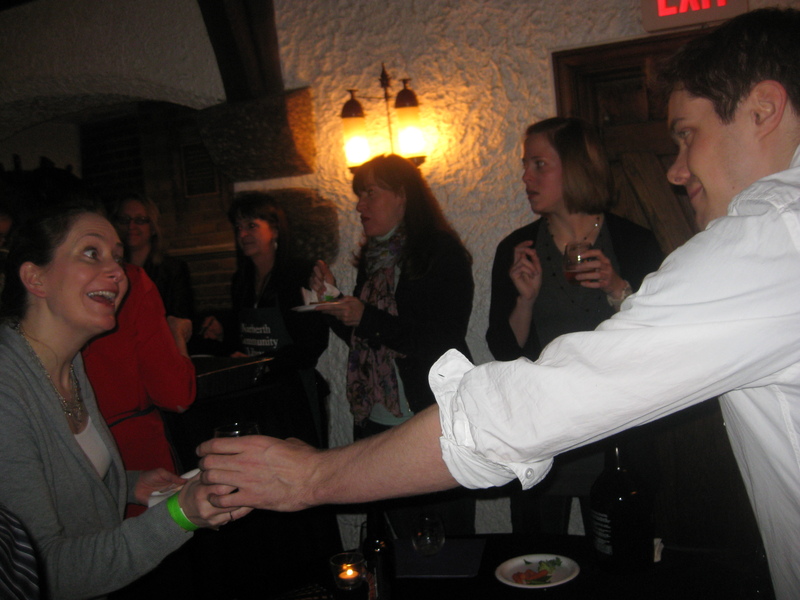 This entry was posted on March 11, 2012, 10:53 PM and is filed under I Met a Brewer!, news, Public Tasting. You can follow any responses to this entry through RSS 2.0. You can leave a response, or trackback from your own site.